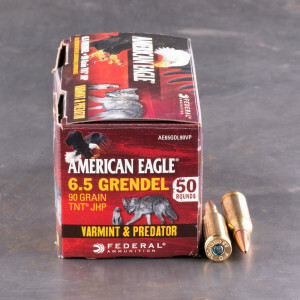 6.5 Grendel ammunition is a relatively recent arrival on the shooting scene having been tooled up in 2003 by Bill Alexander and Janne Pohjoispaa. The cartridge’s pedigree goes way back to the .220 Russian and is in the tradition of the PPC (Palmisano and Pindel Cartridge) bench rest family of cartridges. 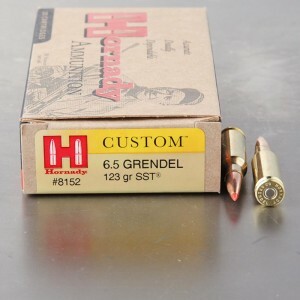 The Grendel cartridge was developed as an alternative medium cartridge for the AR platform and may be the most efficient round available for that rifle style. 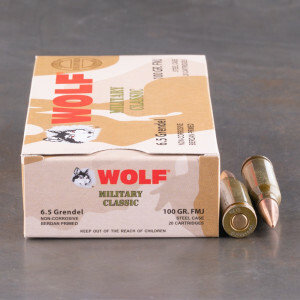 An improvement on the standard 5.56 mm NATO / .223 Armalite Rifle round, the 6.5 Grendel (6.5 x 39 mm) combines increased downrange energy with the excellent ballistic coefficients and sectional densities of the 6.5 mm (.264"") family of bullets; this blend enables the new round to reach out and touch targets with confidence even out to 1,000 yards. 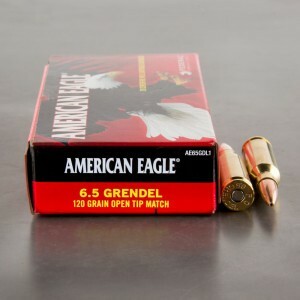 Although, most 6.5 Grendel ammo was is ballistically engineered for targets positioned within 800 yards. Versatility has helped 6.5 Grendel become a household name as it is building a niche with target shooters as well as hunters. Arms manufacturers are beginning to chamber the round in non-AR platforms as its popularity grows. 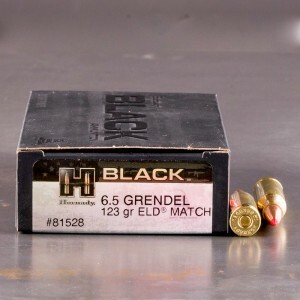 Check out our in-stock line-up of 6.5mm Grendel for sale from trusted manufacturers such as Federal and Hornady.